Santa Ana, CA, September 05, 2018 --(PR.com)-- For most Americans, Labor Day begins and ends with a three-day weekend. For people working in the payroll industry, however, Labor Day kicks off a week recognizing their contributions to the economy. Running from Sept. 3-7, National Payroll Week celebrates the payroll professionals who ensure America's 126 million workers get paid on time. "Payroll is necessary," said Aberash Asfaw, President of Cachet Financial Services®. "For the large working class, being compensated is the primary appeal of working. It is imperative to have a reliable payroll processing source to ensure security. Cachet staff works diligently every day to provide superior customer service. Our company is very fortunate to have an exceptional group of team members." Headquartered in Pasadena, Cachet is one of the four companies comprising Financial Business Group (FBG) Holdings®, a Santa Ana-based conglomerate which provides services to the payroll industry. FBG Holdings® is launching promotional campaigns for each of its four companies during National Payroll Week. The campaigns include videos and photos which both celebrate payroll and educate the public about the beneficial role the payroll industry plays in the United States. "National Payroll Week is the perfect opportunity for our companies to band together and show appreciation to our clients for their trust and loyalty, as well as thank our employees for their tireless work to continually strive to improve the payroll experience for all our clients. Our employees genuinely value the relationships they have built with our clients and want to ensure their payroll is done right," said Micheline Chabana-Justin, President of Payroll Related Subsidiaries for FBG Holdings. "Ultimately businesses just want an accurate and reliable resource for their payroll related needs. Our mission is to be the best provider of software systems and services in this industry and we challenge ourselves daily to fulfill that promise to our clients." 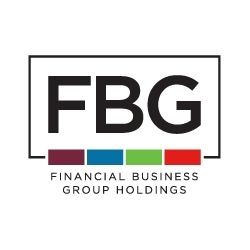 Based in Santa Ana, FBG Holdings is a financial services conglomerate made up of four companies serving the payroll industry. "Having been in business for over 20 years, our group of companies has seen this industry evolve from manual payroll to a wealth/number of Human Capital Management (HCM) service offerings. In an effort to distinguish our companies in the market, the Payroll Related Subsidiaries (PRS) provides ongoing training to our employees to maintain a higher service level to our clients and continually develops new products to satisfy the technology expectations of this ever changing industry. We want our clients to have a choice and the best way to do that is to provide them with great options that make their life easier. Security is an important part of doing business today. PRS is SOC 1 audited, giving clients peace of mind when it comes to the security of their data," said Chabana-Justin. - Cachet Financial Services® is a leading provider of automated clearinghouse (ACH) payroll processing and other directly related services for the payroll industry. - Payroll Tax Management® (PTM) is a payroll tax software developer that offers various system and customizable payroll tax service options. - SBS Payroll™ is a payroll service bureau who also acts as a single point of entry for HCM services, including HR services, benefits administration, background screening, time management and more. - Time Rack® provides an industry-leading web-based time and attendance solution scalable to any organization's needs. For more information about FBG Holdings, visit www.fbgholdings.com.